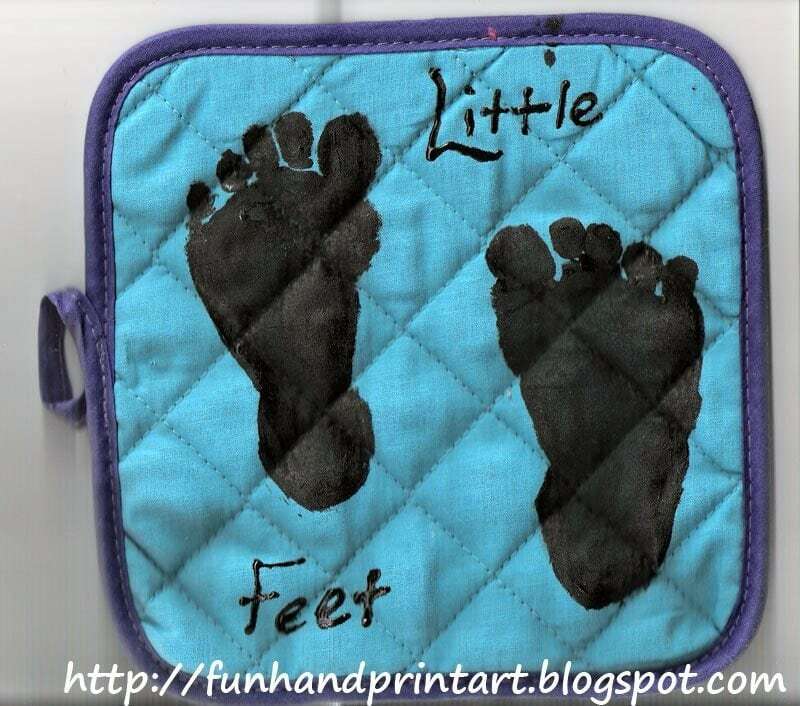 I didn’t have any potholders so I thought it would be neat to place my son’s handprints and footprints on some plain ones. I found some at the dollar store- $1 for both and already had black fabric paint (found in any craft section or craft store). This was actually harder than I thought. My 1st mistake was not paying attention to the little loop for hanging the potholder. Thankfully, I wasn’t planning to display these! 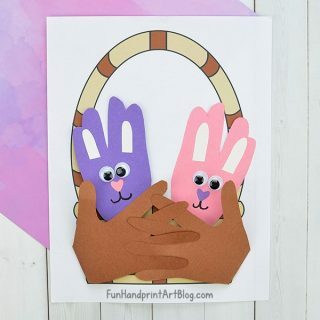 If you are planning to display them when they are not in use or want them just as a decoration, be sure to make sure the loop is at the top before pressing on the print. I made the hand one first. There were a lot of gaps when I lifted his hands so I went back later and filled them in. Not wanting to have the same problem with the footprints, I gooped on the fabric paint on his feet. This was mistake number 2! I put too much on his right foot and it ended up bulging out on the edges making the outline not clear and a lot bigger than it should have been. It also oozed out in between the toes making the toe prints not turn out very well. Overall, the potholders turned out okay- we learn from our mistakes! These would make a great gift for Grandma! This is cute! Thanks for the great idea! 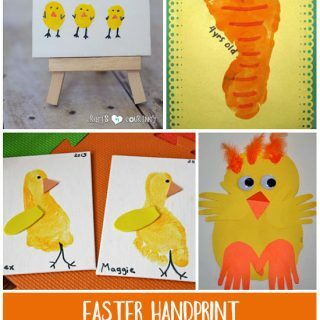 Not only is this the CUTEST idea, but thanks so much for sharing your &#39;mistakes&#39;!! That is so helpful!! 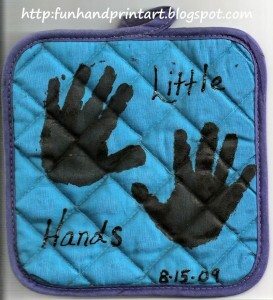 I trace the kid&#39;s hands on denim iron on patches and put them on the pot holders. I then put their name and year on with a marker. 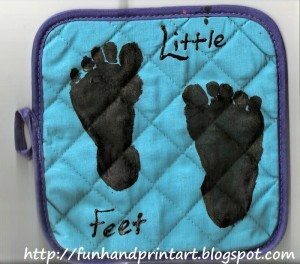 Do you have to do anything special to the pot holders to get the paint to stick to it and stay after a few washes?